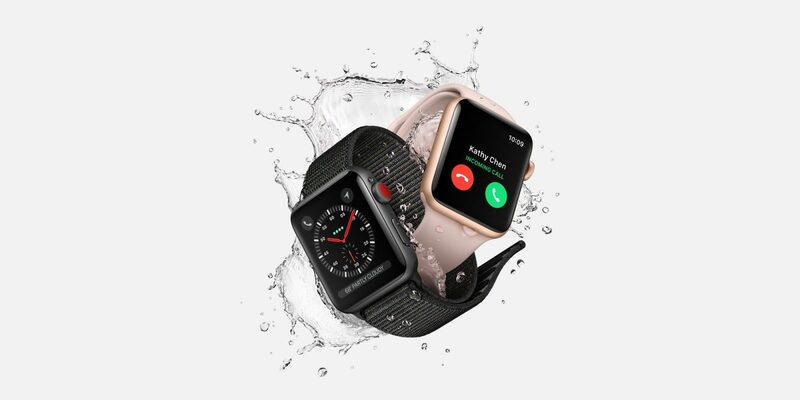 I learned an interesting tip from an Australian regarding the cellular model of the Apple Watch Series 3. The Mac Observer reported that listener Andrew Woodward received his LTE Apple Watch Series 3 already, and was befuddled. You see, it turns out that the LTE Apple Watch signal meter isn’t always visible. Here’s how it all went down. Woodward got his Apple Watch Series 3 (GPS + Cellular) and promptly activated it. Then he tried to figure out why the signal meter wasn’t showing up. Both Apple’s support line and his carrier came up with the same (wrong) conclusion. The eSIM in his Apple Watch was still waiting to be activated. Then, Woodward went beyond the electronic reach of his iPhone. The Wi-Fi and Bluetooth connections were both severed. Suddenly, the signal meter showed up. Woodward did even more digging, and discovered not only how to get the signal meter to show up, but also how to check for a good connection without it. If you swipe up on the Apple Watch display, you’ll see a new option in the Control Center. It looks like a radio tower. 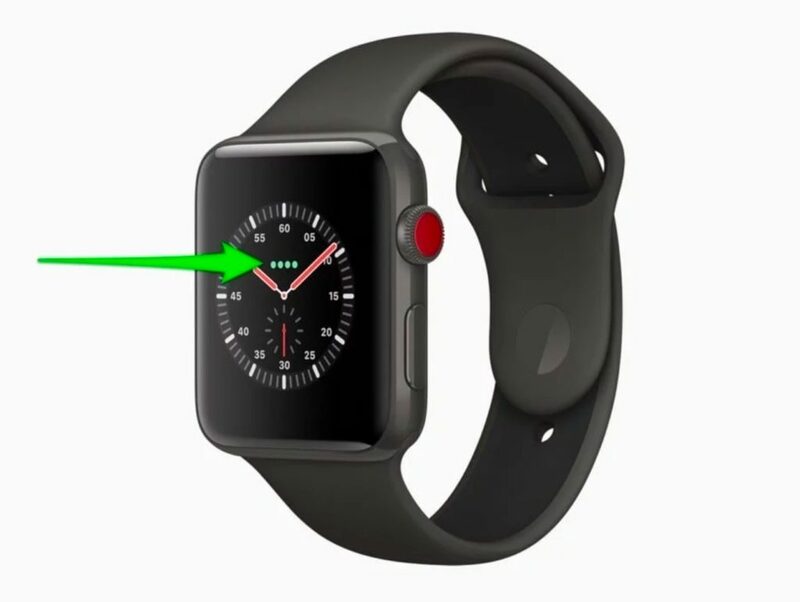 If that icon is white, it means the Apple Watch can connect to cellular data, but it’s not going to. It won’t, because it doesn’t need to — it’s connected through your iPhone. This white icon indicates your Apple Watch can make a cellular connection, but won’t until your iPhone is turned off or out of range. If you turn your iPhone off or go beyond its Wi-Fi and Bluetooth range, that icon turns green. That’s also when the signal meter appears. So, if you activate your Apple Watch Series 3 (GPS + Cellular) and don’t see the signal meter, don’t fret. 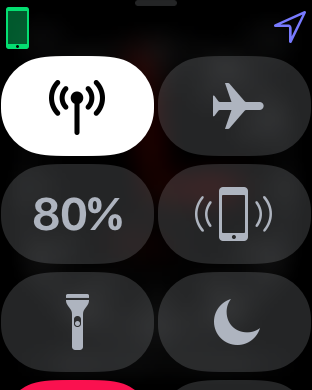 Just turn off your iPhone temporarily, and the Apple Watch signal meter should appear. Or, you can check the Control Center on your wearable device to make sure all is well.